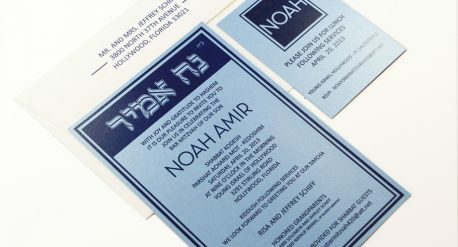 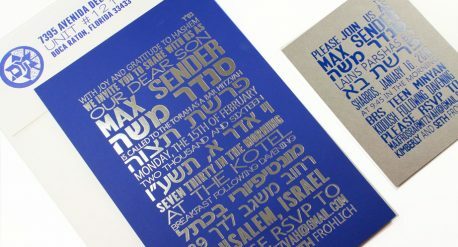 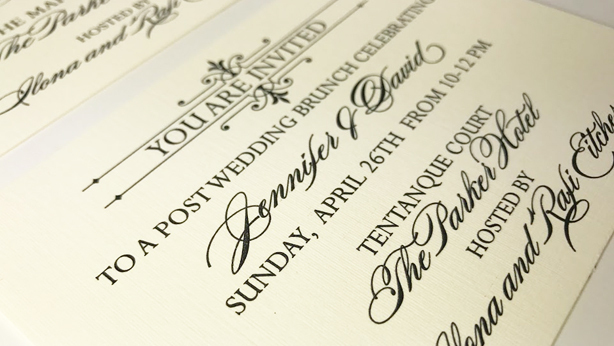 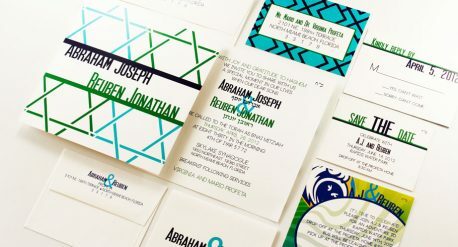 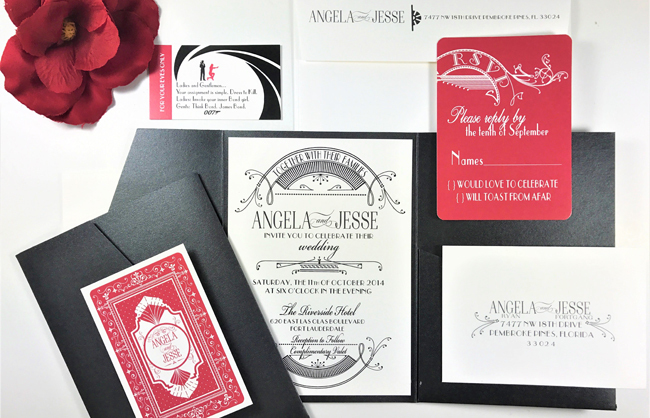 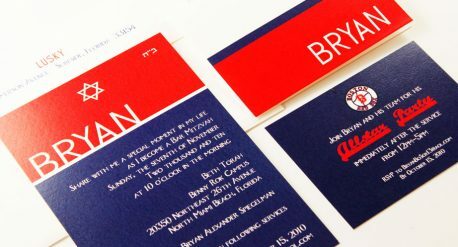 This large size rectangular invite is printed on a heavy weight ivory linen stock. 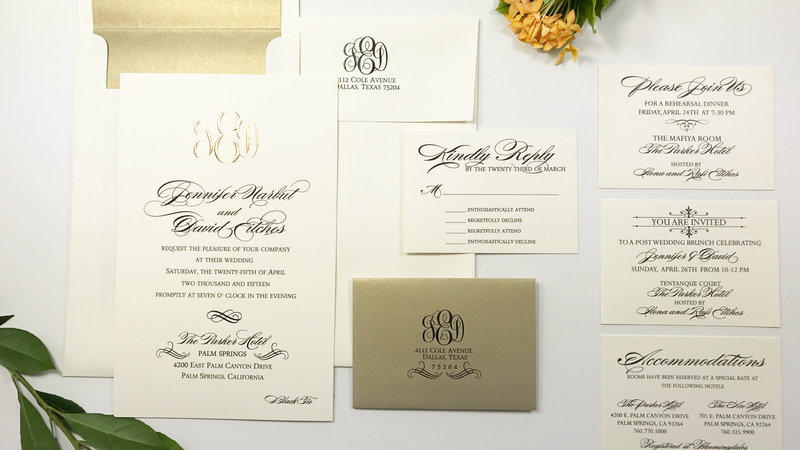 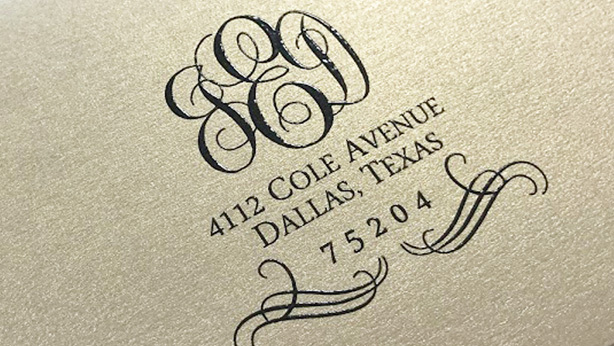 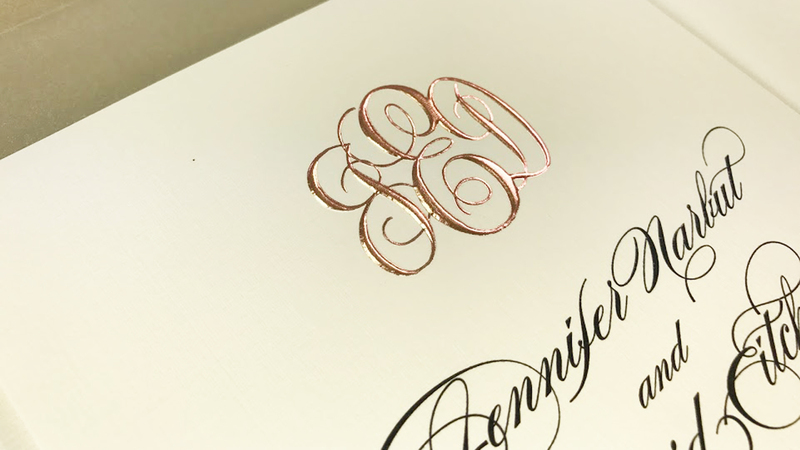 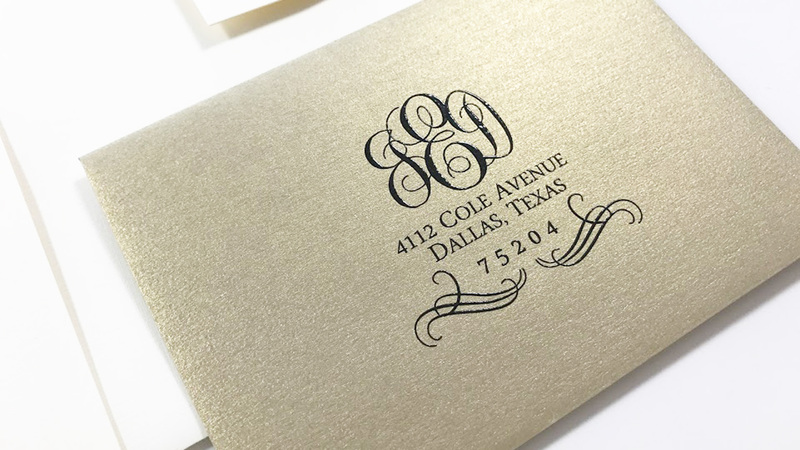 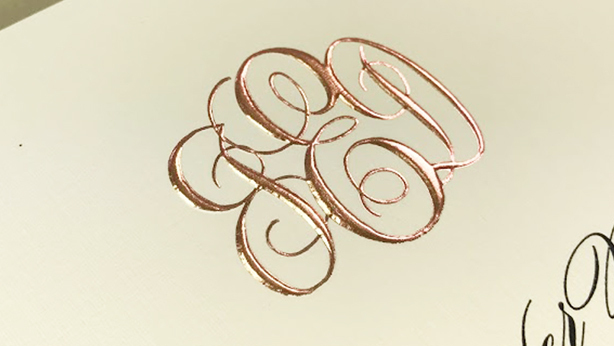 The monogram is foil stamped and embossed in rose gold foil. 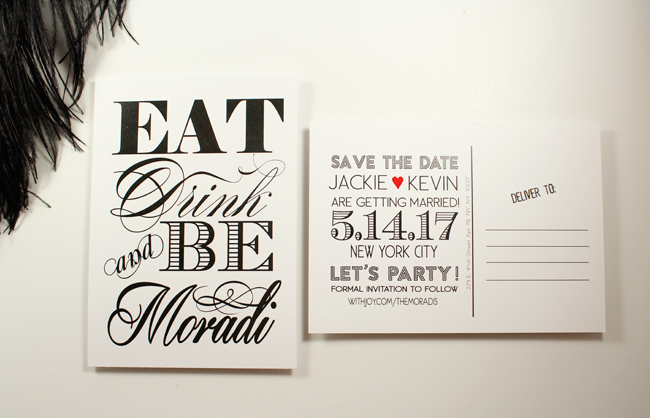 Wording in black thermography. 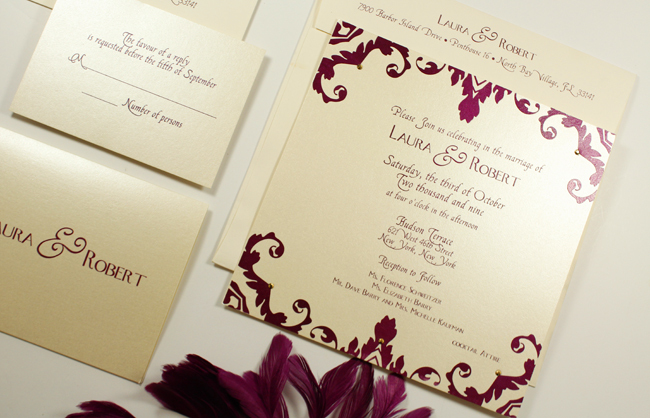 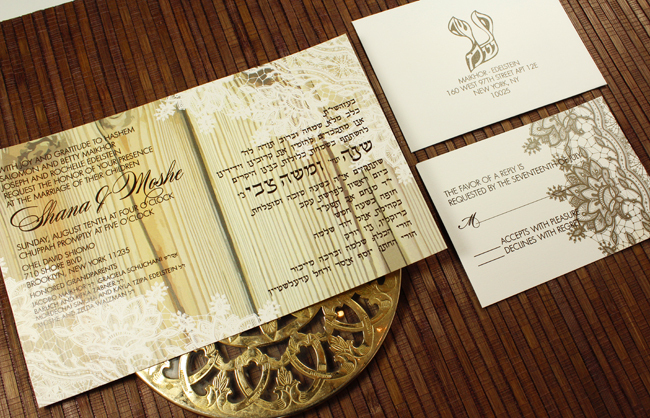 Corresponding rsvp set with gold envelope and envelope liner.